Make a Great First Impression of Your Business! Having 29 years of experience in power washing and cleaning industry, we at Lansdale Power Washers are veterans in providing the most professional commercial power washing services. Many times people think why is commercial power washing so important? 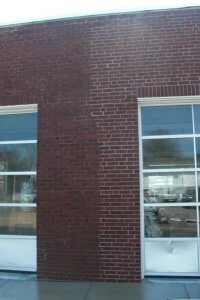 A clean commercial building exterior gives a good impression of your business. Apart from looking good, a clean building looks fresh and reflects the proper image, while rendering a firm and proficient distinctiveness. However, there are many companies that promise you the best commercial washing services and charge extremely high prices. But, Lansdale Power Washers ensure you the best quality service within your means. We focus on providing the best commercial pressure washing services according to your requirements and within your budget. We have a long list of commercial clients that rely on us for washing and cleaning services. Our main objective is to offer professional, fast and inexpensive pressure washing solutions in an effective way. Cleaning of restaurants, including common stairs, walkways and complicated exteriors. Lansdale Power Washers is a trusted name for its finest quality commercial power washing. With regular positive feedbacks from our customers, we feel proud that we have successfully served our clients. With our competent and skilled washers we can accomplish every task in short period of time. We provide deep cleaning to places where the stains are hard to remove. Our services are effective and we also provide the best solutions, which are worth your money. Commercial properties require consistent upkeep if not maintained your property may turn unsightly. To avoid the degradation of your commercial property, give us a chance to serve you with our qualified workers and equipment. We provide maintenance programs that depend largely on your requirements. With the latest tools and ever-ready staff, we provide assistance 7 days a week and 365 days annually.